One cannot simply see all Peru has to offer in just one day. The entire country boasts both culture and must-see sites unlike any other. To the North of the country you can find some of the most important archaeological sites and the cities of Trujillo and Chiclayo. Sitting pretty in the middle of Peru is the capital city of Lima, located on the Pacific Coast. As you work your way south you come across quaint little villages like Arequipa, Puno, and Nazca all jam-packed with art, folklore, literature, significant Incan ruins, mystery and more festivals during the year than you can count. If you really want to see Peru, peruse through the following multi-day tours that will satisfy your hunger for a real Andes adventure. 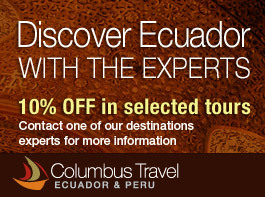 We are ready for you to contact us to give you the trip of a lifetime, one you will never forget.